Hilary Charlesworth is a Laureate Professor at Melbourne Law School. She is also a Distinguished Professor at the Australian National University. She was educated at the University of Melbourne and Harvard Law School. Her research includes the structure of the international legal system, peacebuilding, human rights law and international humanitarian law and international legal theory, particularly feminist approaches to international law. Hilary received the American Society of International Law’s award for creative legal scholarship for her book, co-authored with Christine Chinkin, The Boundaries of International Law. She was also awarded, with Christine Chinkin, the American Society of International Law’s Goler T. Butcher award for ‘outstanding contributions to the development or effective realization of international human rights law’. 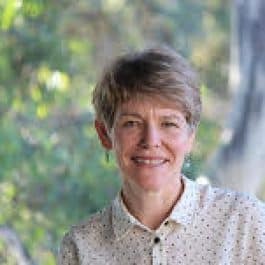 Hilary has held both an Australian Research Council Federation Fellowship (2005-2010) and an ARC Laureate Fellowship (2010-2015). Hilary has been a visiting professor at various institutions including Harvard Law School, New York University Global Law School, UCLA, Paris I and the London School of Economics. She has been a member of the Executive Council of the Asian Society of International Law, the American Society of International Law and President of the Australian and New Zealand Society of International Law. Hilary was appointed by the Australian government in 2015 to a second term as a member of the Permanent Court of Arbitration. She served as judge ad hoc in the International Court of Justice in the Whaling in the Antarctic Case (2011-2014). In 2016 Hilary was awarded an Honorary Doctorate by the Université Catholique de Louvain in Belgium. Weston, B., Falk, R.A., Charlesworth, H. & Strauss, A.L. 2006, International Law and World Order 4th edn, Minneapolis: West Publishing Co.